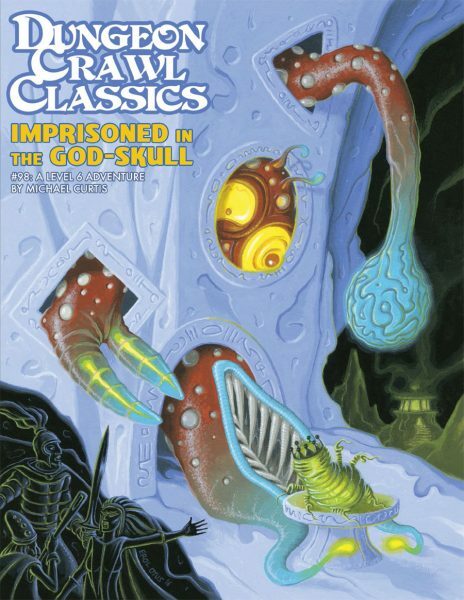 Forgotten Treasure: Emirikol Was Framed! Home » Forgotten Treasure » Forgotten Treasure: Emirikol Was Framed! 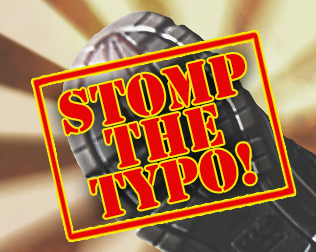 The hook for DCC #73: Emirikol Was Framed! 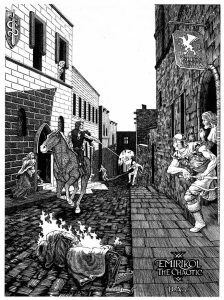 is pretty straightforward: the archmage Emirikol has gone crazy, terrifying the city and slaughtering people! 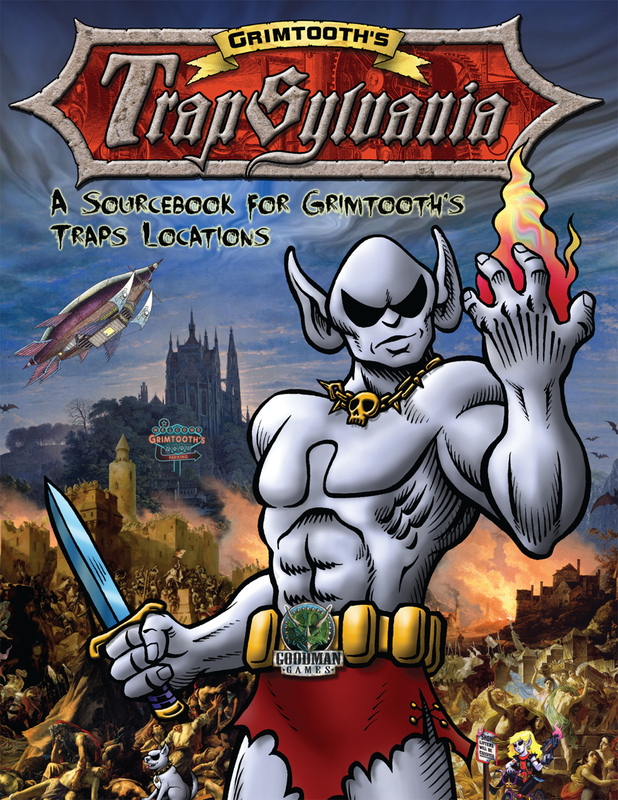 Brave adventurers are needed to defeat him. 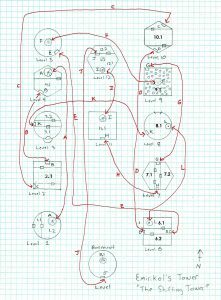 But since it’s a DCC module by Michael Curtis, you know it’s not quite as simple as it sounds. In fact, Emirikol Was Framed! 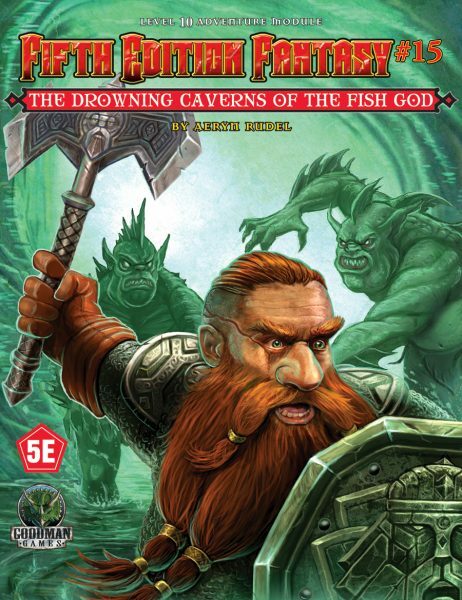 is the first DCC RPG adventure that now-famous-in-certain-circles Michael Curtis wrote! 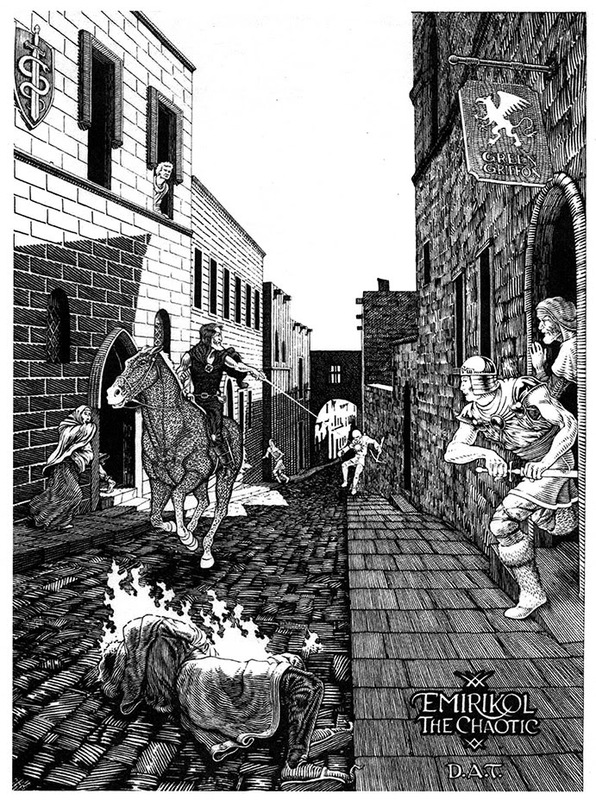 The original “Emirikol the Chaotic” by Dave Trampier. And Michael used that free hand to bring in a number of influences, from Appendix N and elsewhere. 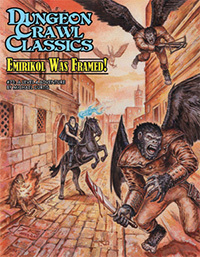 Emirikol’s flying ape thugs are based on the clakar, the winged apes that Elric faces off against in Moorcock’s Eternal Champion stories. 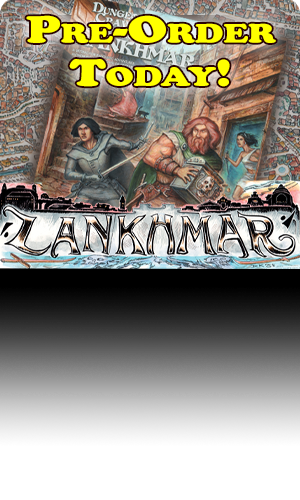 Emirikol’s tower was inspired by the Tower of the Elephant from the Conan story of the same name, but the lions from the story were replaced with watch leopards as in “Ill Met in Lankhmar”. 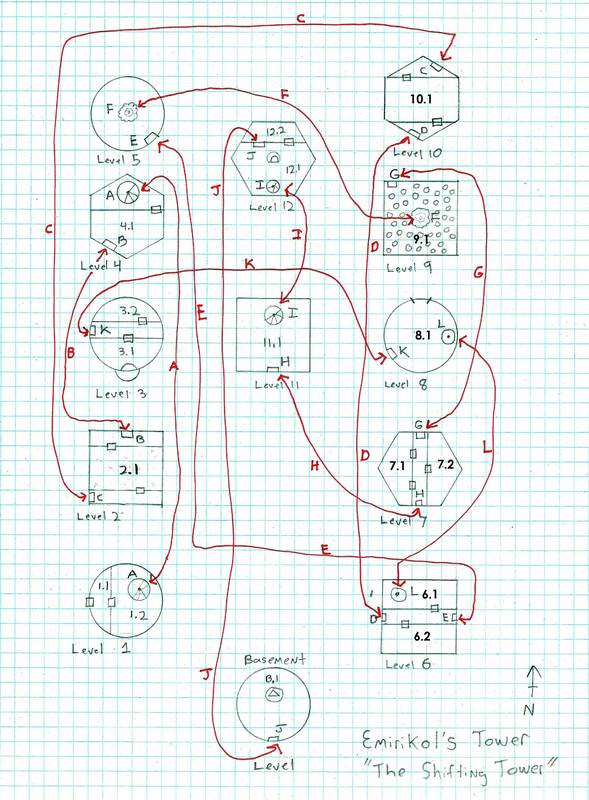 The Shifting Tower: Michael’s original hand drawn map is less chaotic than Doug’s final map. 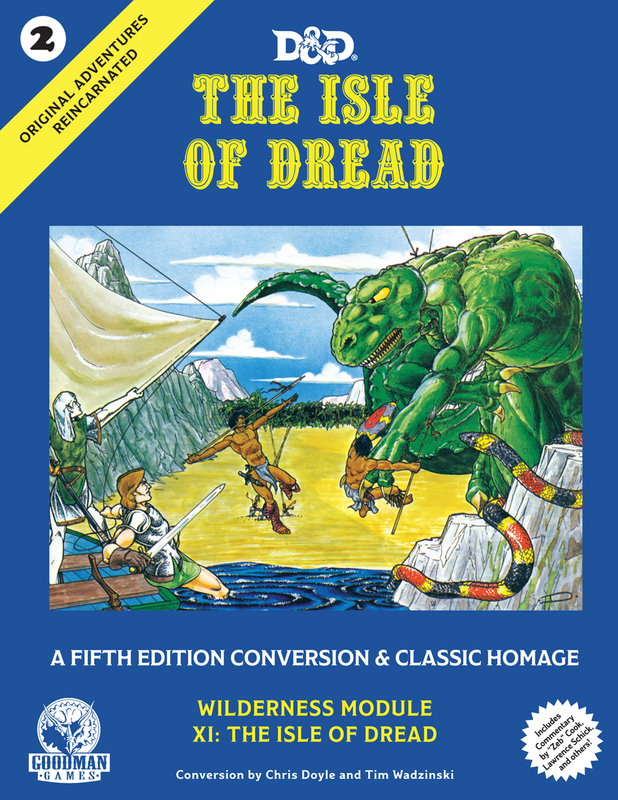 The art and cartography of Doug Kovacs has been integral to the DCC RPG line since the beginning, but his map for this module this module took things to a new level. A place called “The Shifting Tower of Emirikol the Chaotic” requires a map that is, well, chaotic. Doug did not disappoint in that regard. In comparison, Michael’s original hand-drawn map is well-ordered and neat. Emirikol Was Framed! 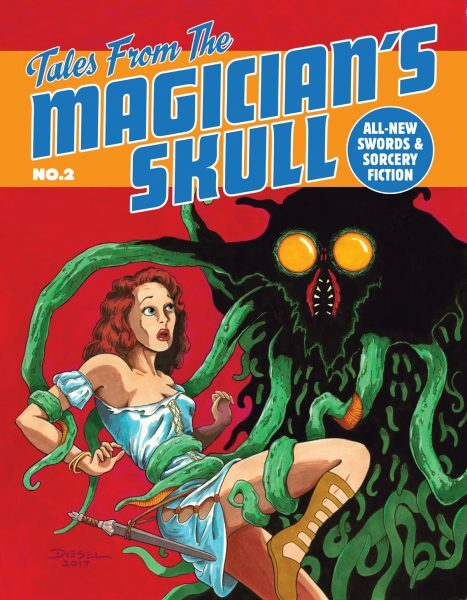 is available in print and in PDF. 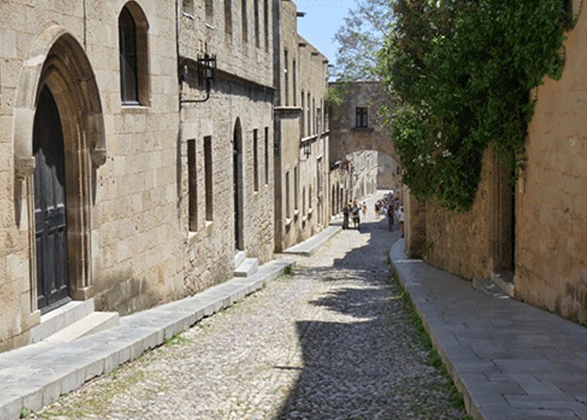 The Street of Knights in Rhodes, which Trampier used as the background for “Emirikol the Chaotic”.